TORONTO, ON – This week’s issue of Toronto alternative weekly NOW Magazine is its annual Beer Issue, featuring several articles about the city’s beer and brewing scene. A listing and mini-profiles of 27 local breweries and brewpubs. Reviews of nine summer-friendly beers from Ontario breweries. A look at the food available at a few of the city’s brewpubs. An analysis of the environmental friendliness of some local and imported organic beers. 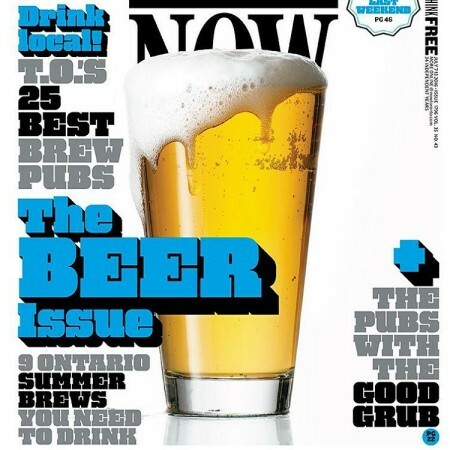 The paper edition of the NOW Beer Issue – cover dated July 7th to 13th, 2016 – is available now in street boxes, shops, restaurants and other locations throughout the GTA.